This Mother's Day let mum relax and head to Cruise Bar to enjoy a swish brunch against a backdrop of Sydney Harbour. Executive chef Patrick Haney has prepared a luxe breakfast menu, which incorporates playful ideas with interesting flavours. 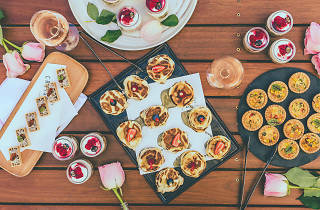 You'll get to enjoy savoury carrot ice cream cones; French toast shots with cajeta sauce; mini frittatas with black garlic romesco; buttermilk chicken and waffles with whipped honey butter; whiskey-glazed bacon and goat cheese profiteroles; crumbed quail eggs and pancetta pops. 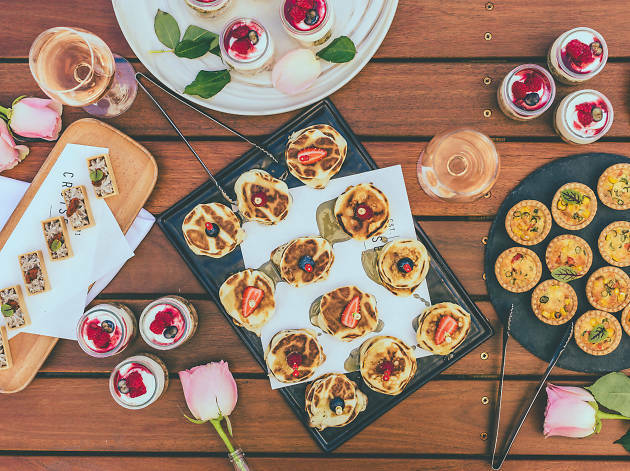 You'll also get to enjoy more traditional high tea options like smoked salmon sandwiches with cucumber ribbons, egg salad, rocket and capers; bacon and egg roll with warrigal greens, rocket, tomato relish and caramelised onions; and stuffed mushrooms with chorizo and manchego. There will also be rosé, cocktails and Champagne available to purchase. At just $39, this is a seriously well-priced option for the day. You can also upgrade your brunch with a glass of Pol Roger NV Brut Reserve for just $20 more. There will be no cruise ships docked, meaning that you'll have uninterrupted views of the panoramic Sydney Harbour.